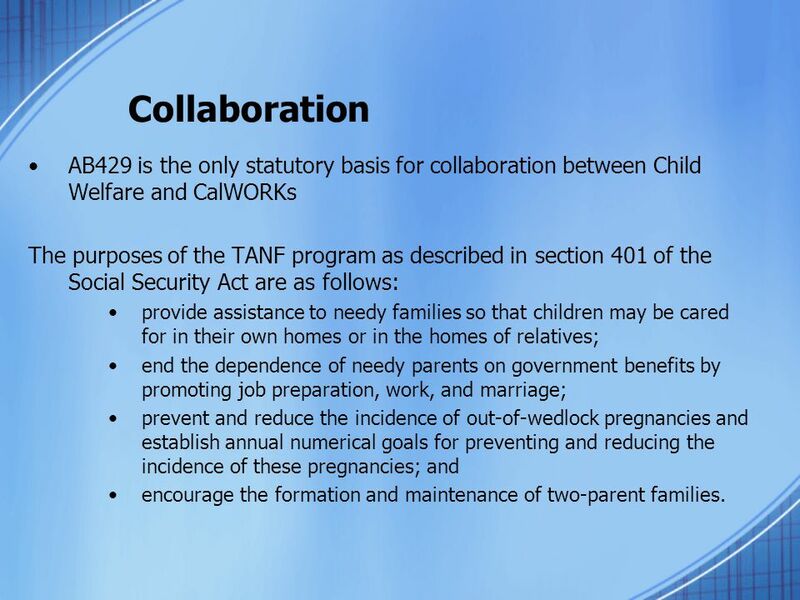 3 Collaboration AB429 is the only statutory basis for collaboration between Child Welfare and CalWORKs The purposes of the TANF program as described in section 401 of the Social Security Act are as follows: provide assistance to needy families so that children may be cared for in their own homes or in the homes of relatives; end the dependence of needy parents on government benefits by promoting job preparation, work, and marriage; prevent and reduce the incidence of out-of-wedlock pregnancies and establish annual numerical goals for preventing and reducing the incidence of these pregnancies; and encourage the formation and maintenance of two-parent families. 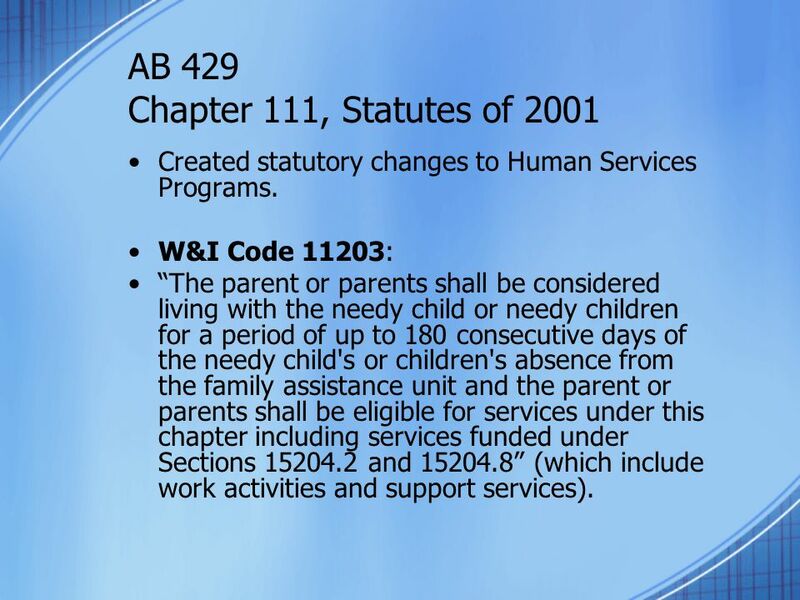 5 AB 429 Chapter 111, Statutes of 2001 Created statutory changes to Human Services Programs. W&I Code 11203: “The parent or parents shall be considered living with the needy child or needy children for a period of up to 180 consecutive days of the needy child's or children's absence from the family assistance unit and the parent or parents shall be eligible for services under this chapter including services funded under Sections and ” (which include work activities and support services). 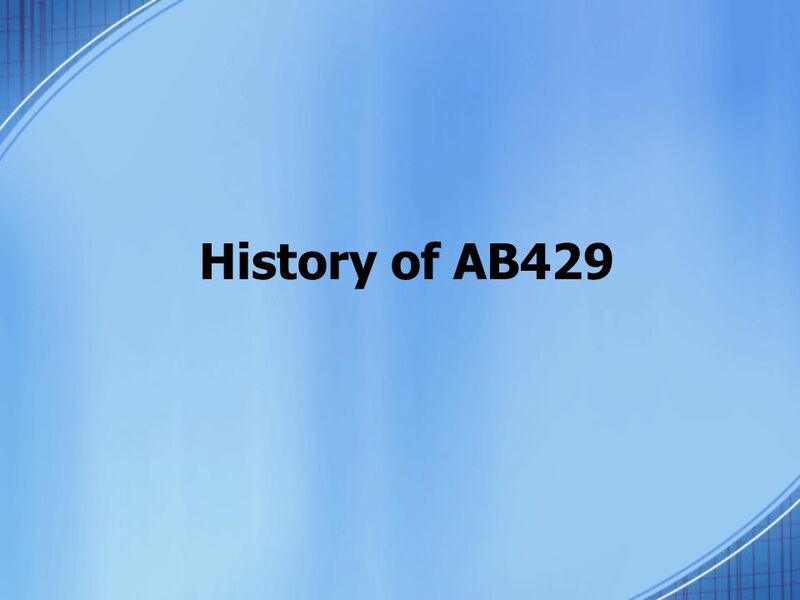 7 AB 429 Timeline On June 22nd, 2001, AB 429 was approved by the legislature’s Budget Conference Committee. A 2/3 vote from the Senate and Assembly was needed in order to move to the Governor’s desk. On July 26th, 2001, the bill was signed into law. 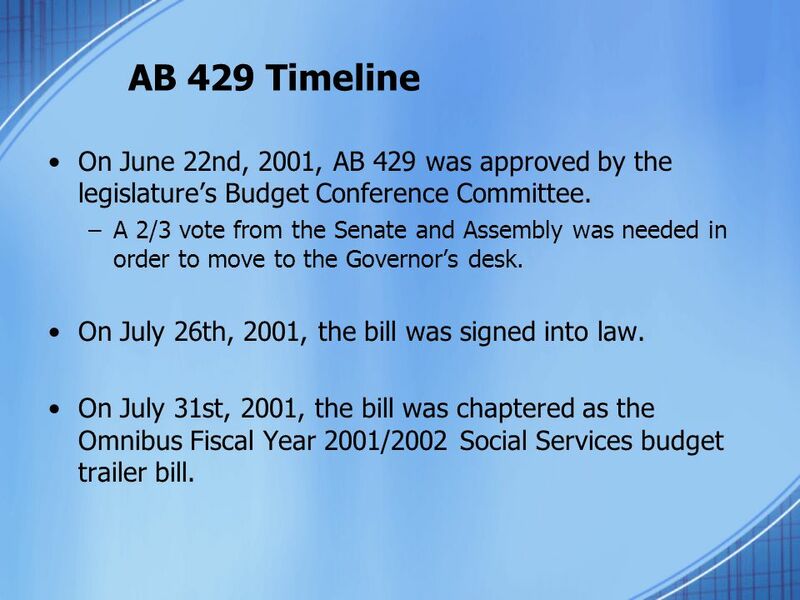 On July 31st, 2001, the bill was chaptered as the Omnibus Fiscal Year 2001/2002 Social Services budget trailer bill. Special Circumstances Program: This program, which covers the special needs of the aged, blind and disabled in emergencies, is reformed and expanded. (1) include CAPI, IHSS and SSI recipients among potential beneficiaries; (2) specify its availability for "unmet shelter needs," and increasing amounts for items of need; (3) eliminate the requirement that a recipient be a victim of a "catastrophe" before being eligible; (4) repeal the separate $300 resource limit and conform the income and resource rules to the main programs; and, (5) allow counties to transfer funds for implementation from administrative allocation to benefits, given expected administrative savings. 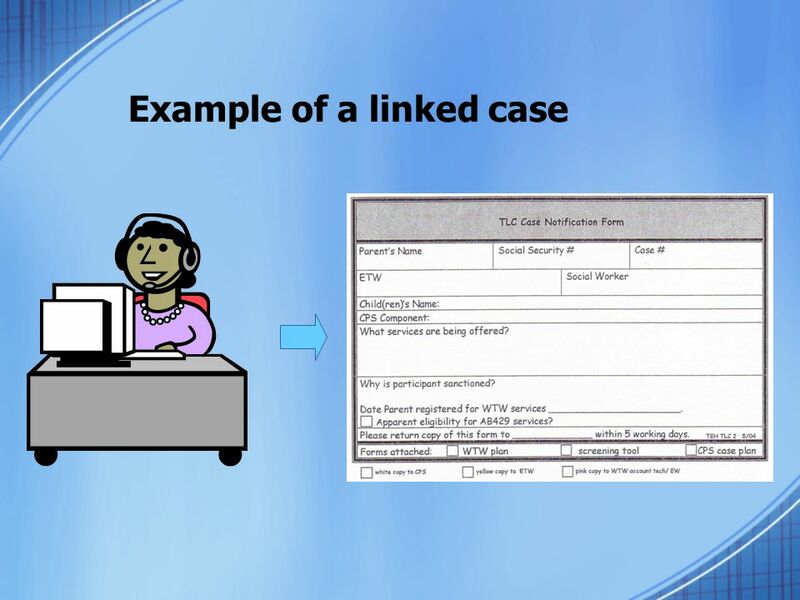 CalWORKs Time Limits: Provides that all counties retain records and provide information sufficient to permit the tracking of CalWORKs time limits. 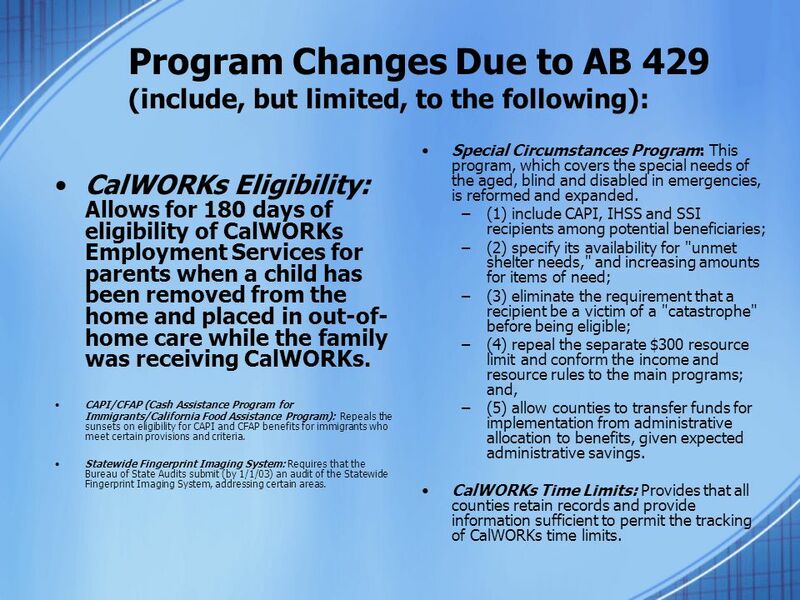 CalWORKs Eligibility: Allows for 180 days of eligibility of CalWORKs Employment Services for parents when a child has been removed from the home and placed in out-of-home care while the family was receiving CalWORKs. 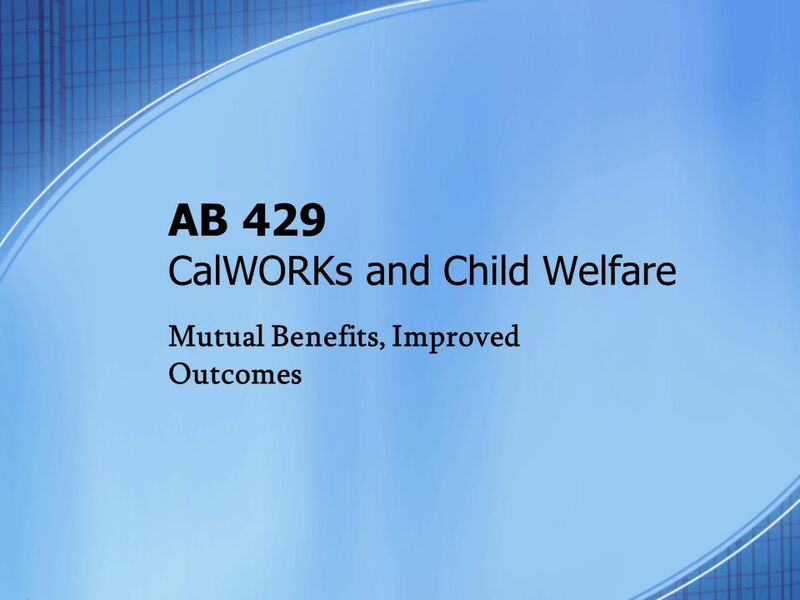 CAPI/CFAP (Cash Assistance Program for Immigrants/California Food Assistance Program): Repeals the sunsets on eligibility for CAPI and CFAP benefits for immigrants who meet certain provisions and criteria. Statewide Fingerprint Imaging System: Requires that the Bureau of State Audits submit (by 1/1/03) an audit of the Statewide Fingerprint Imaging System, addressing certain areas. 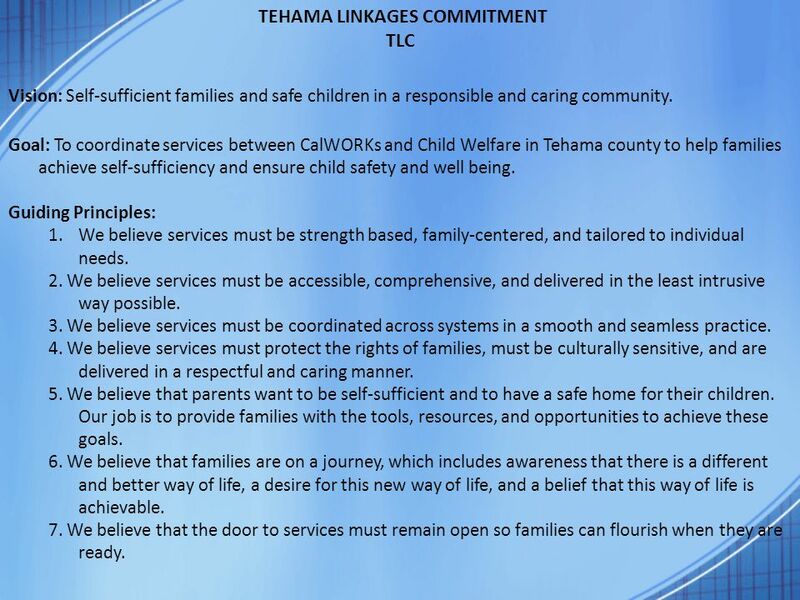 TLC Vision: Self-sufficient families and safe children in a responsible and caring community. 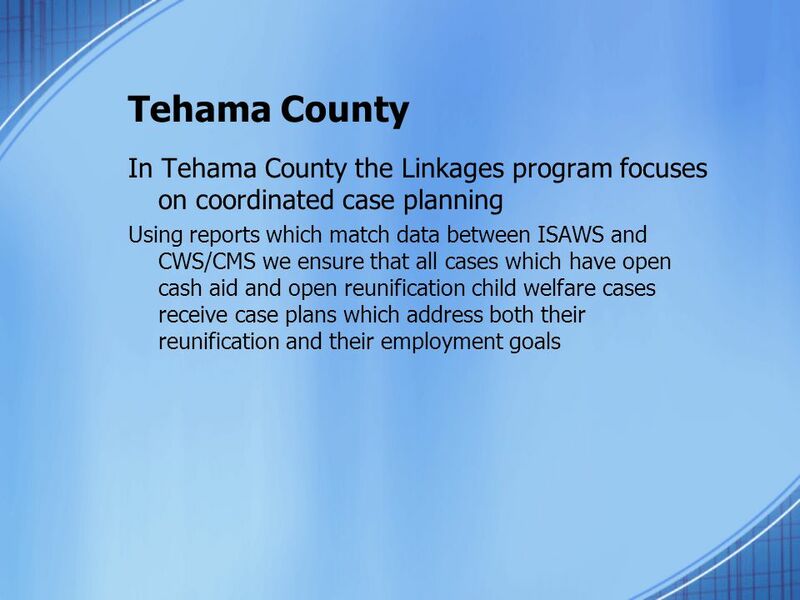 Goal: To coordinate services between CalWORKs and Child Welfare in Tehama county to help families achieve self-sufficiency and ensure child safety and well being. Guiding Principles: We believe services must be strength based, family-centered, and tailored to individual needs. 2. 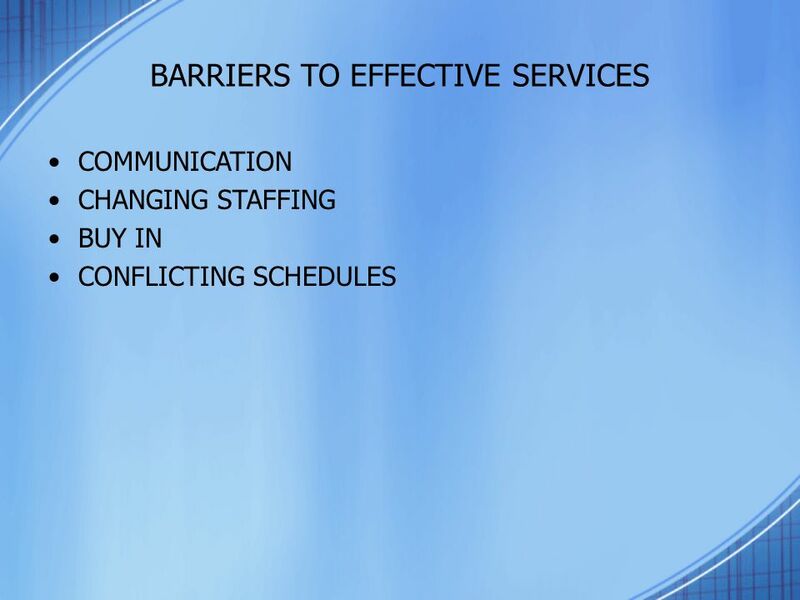 We believe services must be accessible, comprehensive, and delivered in the least intrusive way possible. 3. 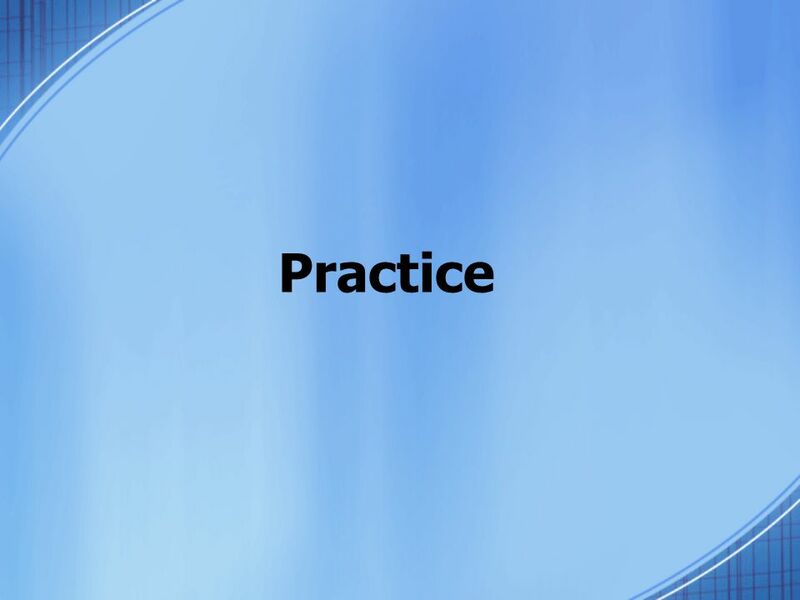 We believe services must be coordinated across systems in a smooth and seamless practice. 4. We believe services must protect the rights of families, must be culturally sensitive, and are delivered in a respectful and caring manner. 5. We believe that parents want to be self-sufficient and to have a safe home for their children. Our job is to provide families with the tools, resources, and opportunities to achieve these goals. 6. We believe that families are on a journey, which includes awareness that there is a different and better way of life, a desire for this new way of life, and a belief that this way of life is achievable. 7. We believe that the door to services must remain open so families can flourish when they are ready. 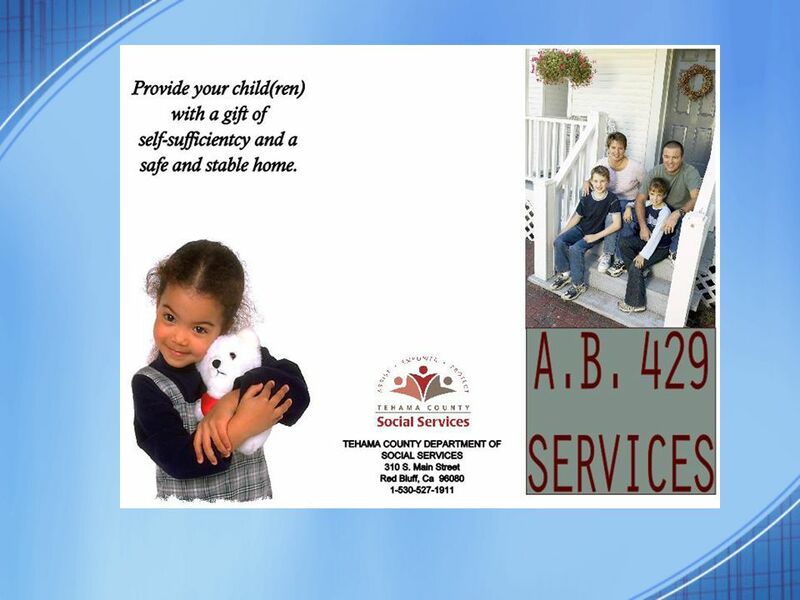 13 AB 429 Services All Child Welfare Services cases are to be screened for possible AB 429 services when the children are removed from the home. 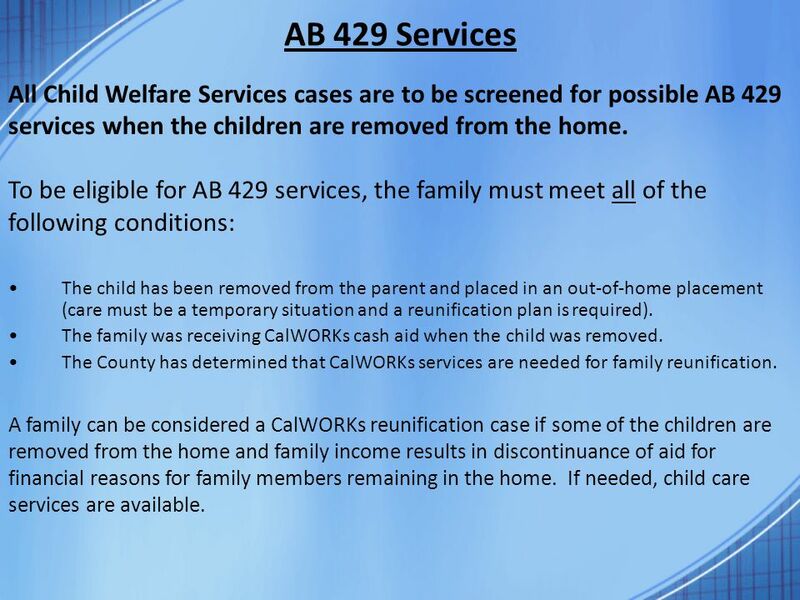 To be eligible for AB 429 services, the family must meet all of the following conditions: The child has been removed from the parent and placed in an out-of-home placement (care must be a temporary situation and a reunification plan is required). 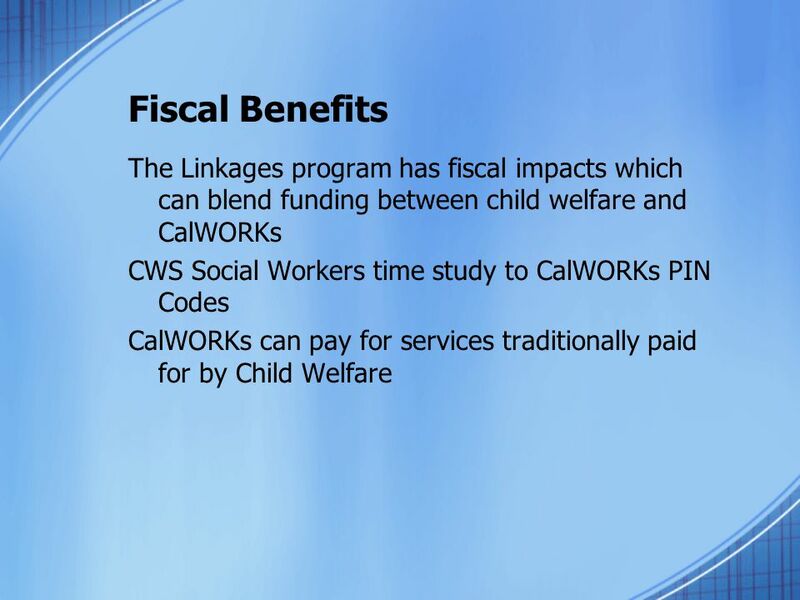 The family was receiving CalWORKs cash aid when the child was removed. 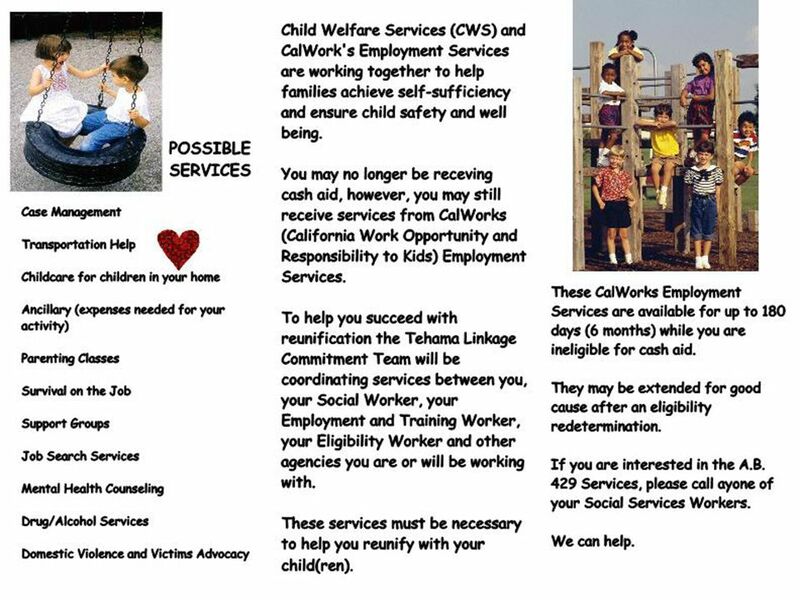 The County has determined that CalWORKs services are needed for family reunification. 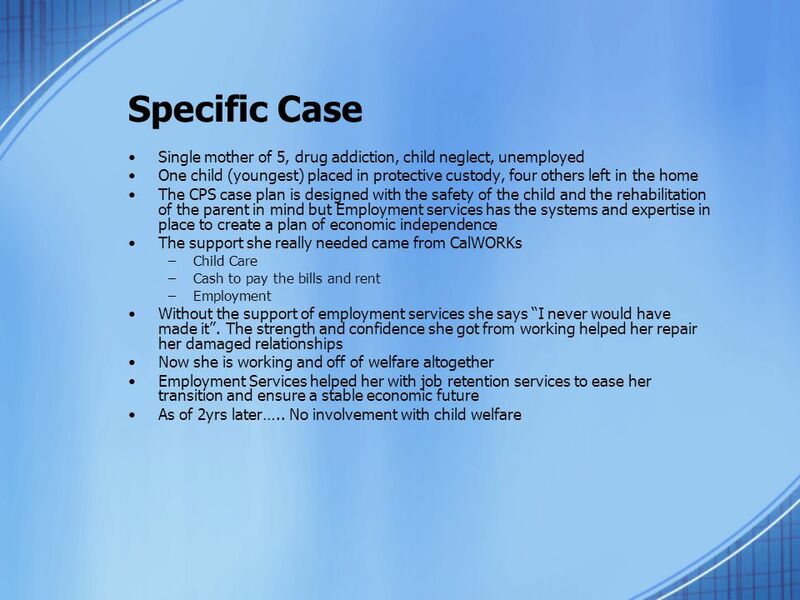 A family can be considered a CalWORKs reunification case if some of the children are removed from the home and family income results in discontinuance of aid for financial reasons for family members remaining in the home. If needed, child care services are available. 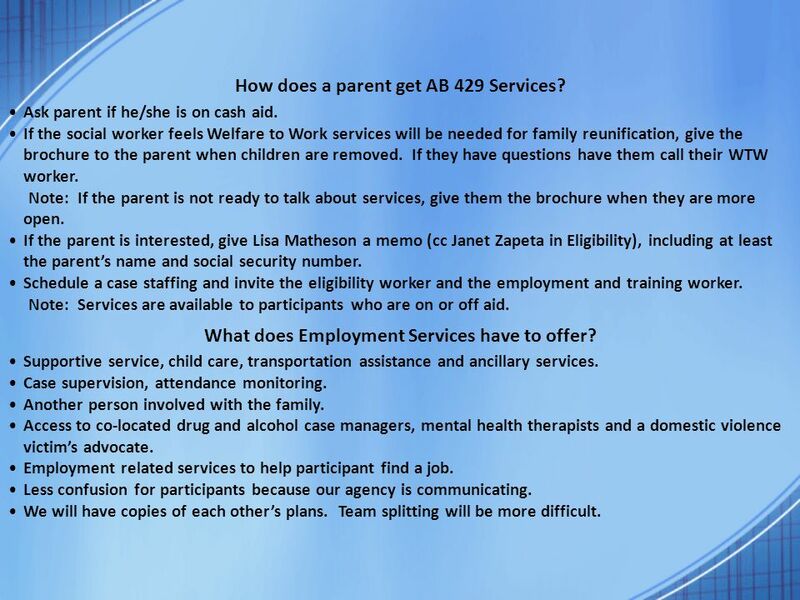 14 How does a parent get AB 429 Services? Ask parent if he/she is on cash aid. 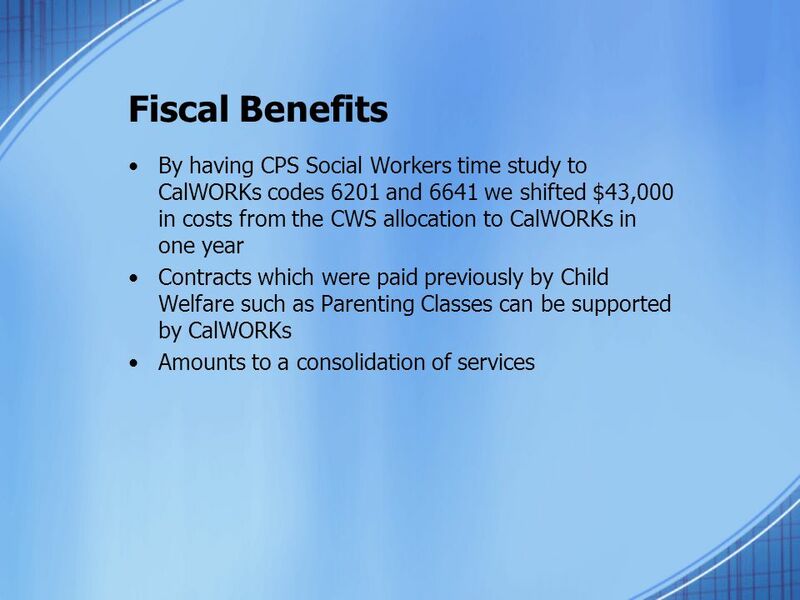 If the social worker feels Welfare to Work services will be needed for family reunification, give the brochure to the parent when children are removed. If they have questions have them call their WTW worker. Note: If the parent is not ready to talk about services, give them the brochure when they are more open. If the parent is interested, give Lisa Matheson a memo (cc Janet Zapeta in Eligibility), including at least the parent’s name and social security number. 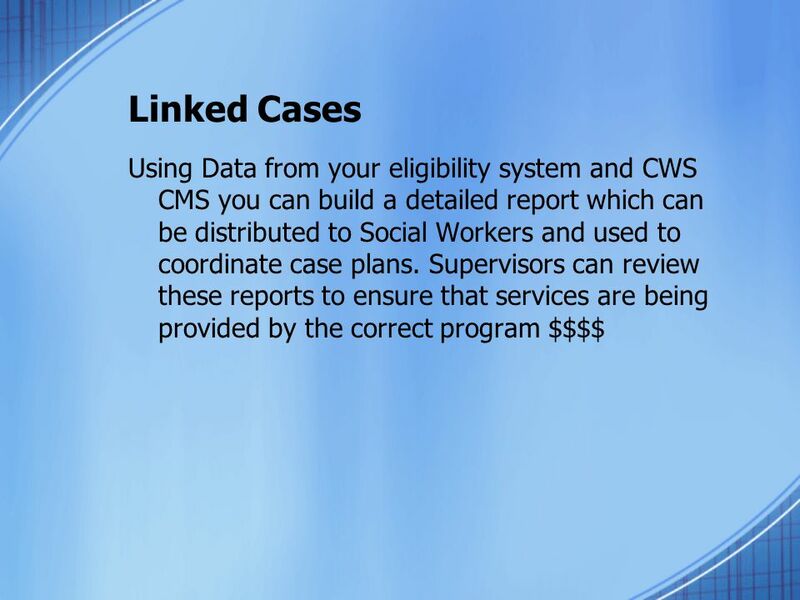 Schedule a case staffing and invite the eligibility worker and the employment and training worker. Note: Services are available to participants who are on or off aid. 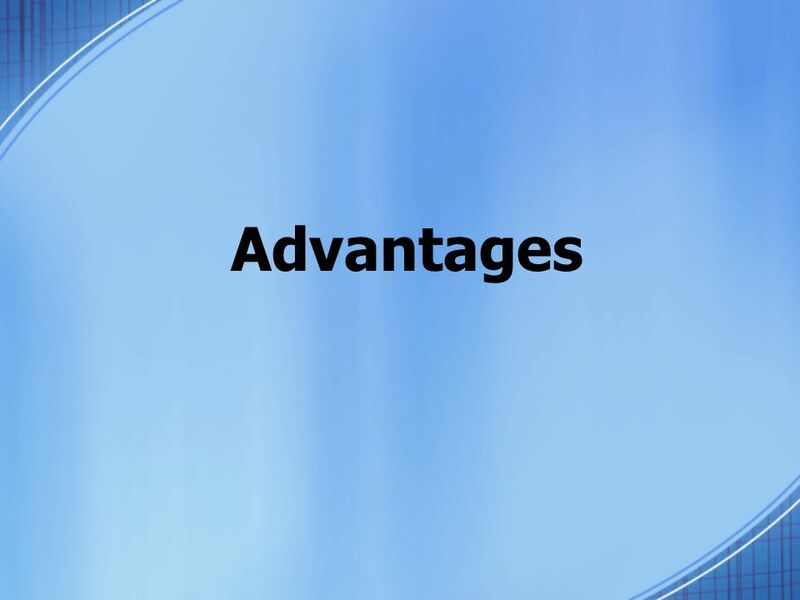 What does Employment Services have to offer? Supportive service, child care, transportation assistance and ancillary services. 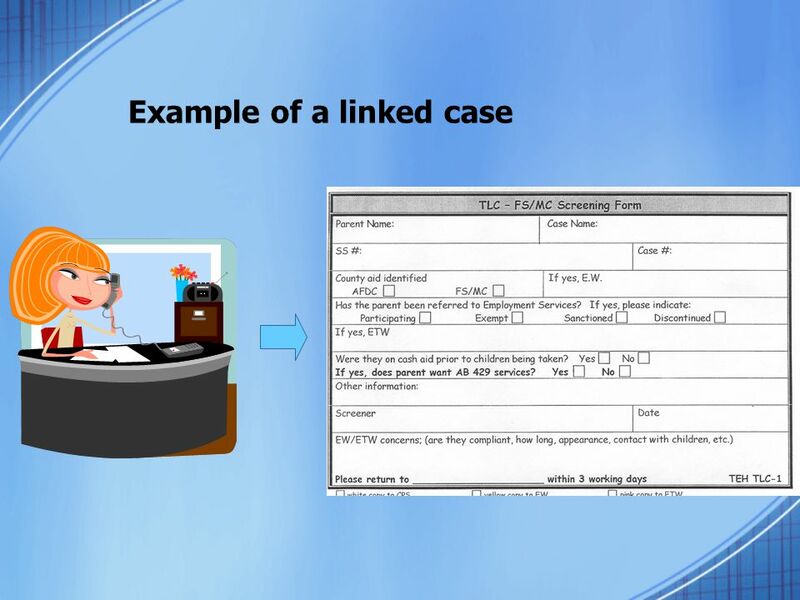 Case supervision, attendance monitoring. Another person involved with the family. 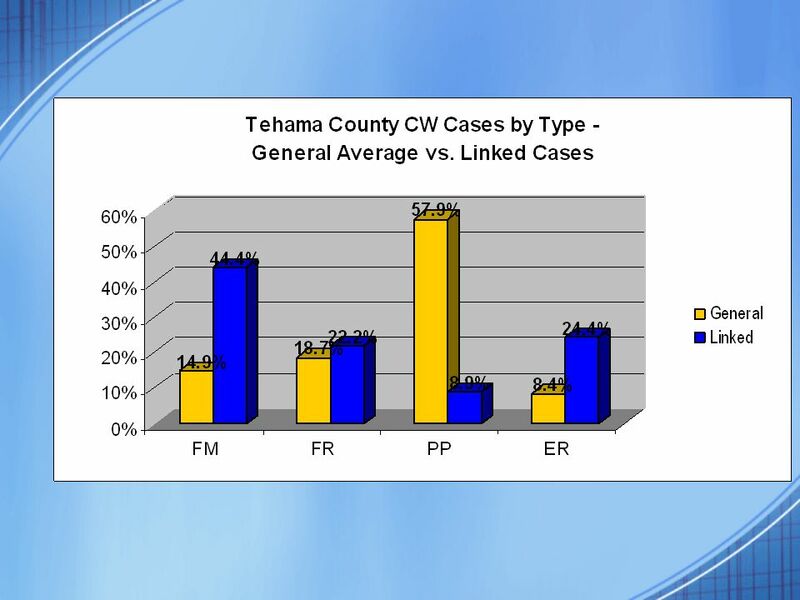 Access to co-located drug and alcohol case managers, mental health therapists and a domestic violence victim’s advocate. Employment related services to help participant find a job. 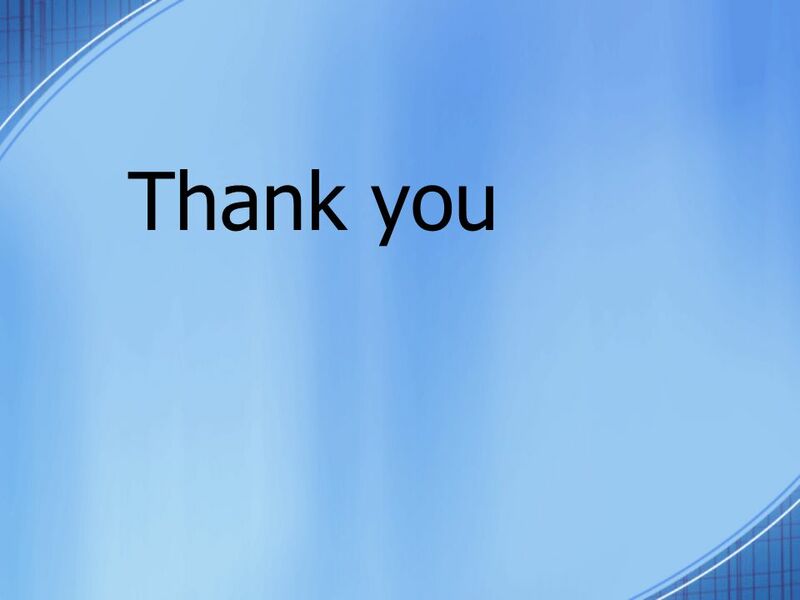 Less confusion for participants because our agency is communicating. We will have copies of each other’s plans. Team splitting will be more difficult. 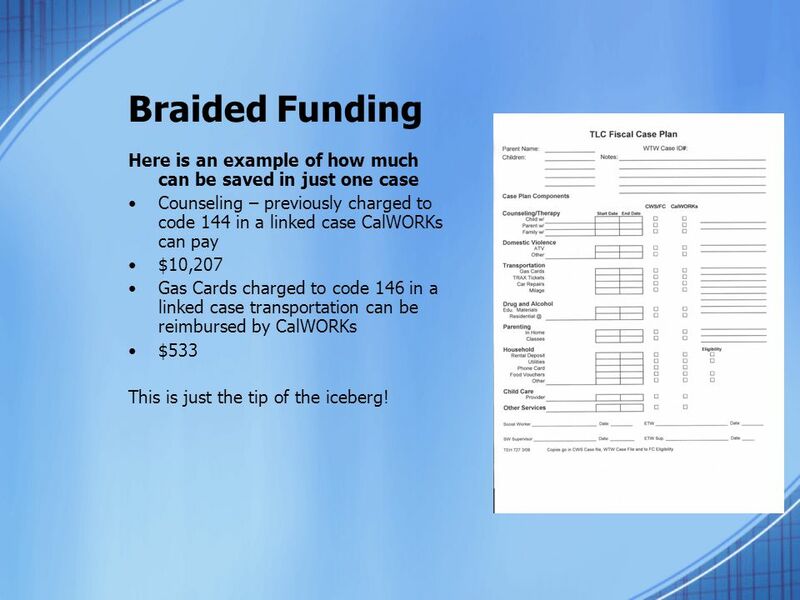 32 Braided Funding Here is an example of how much can be saved in just one case Counseling – previously charged to code 144 in a linked case CalWORKs can pay $10,207 Gas Cards charged to code 146 in a linked case transportation can be reimbursed by CalWORKs $533 This is just the tip of the iceberg! 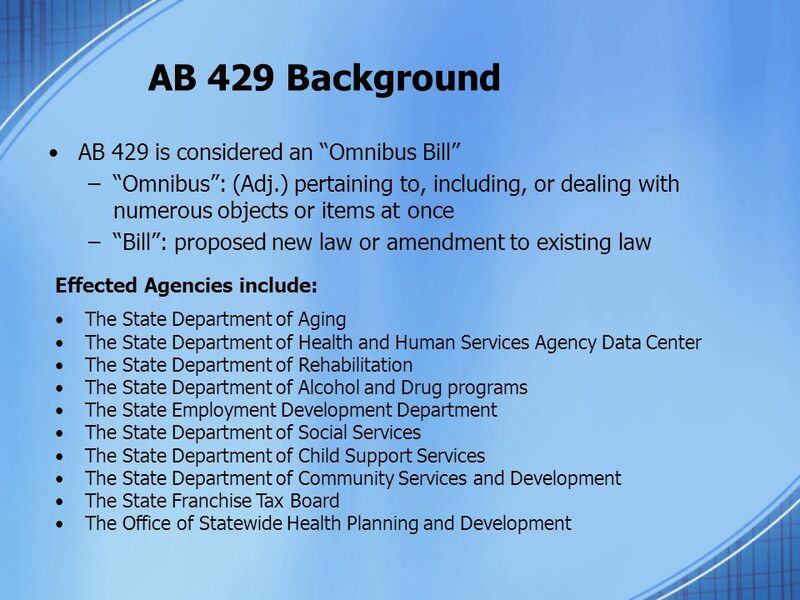 35 Q: Who is eligible to receive AB 429 Services? 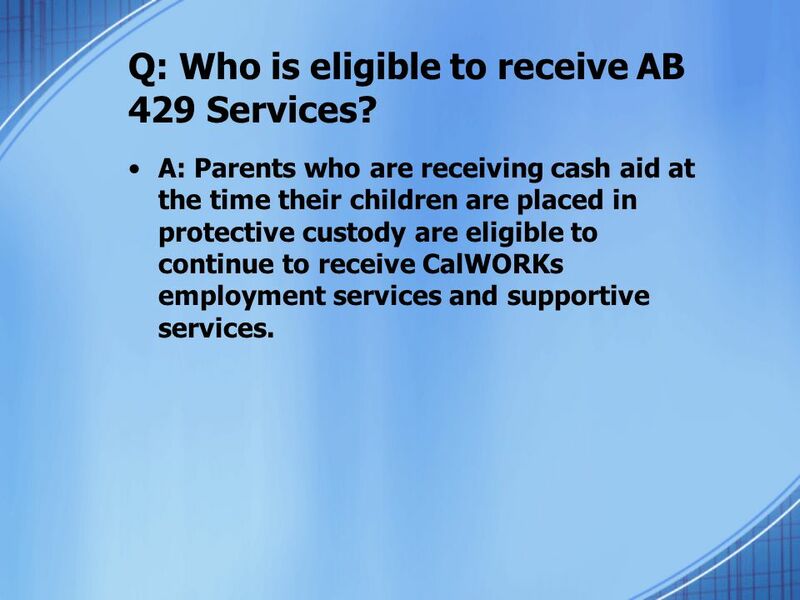 A: Parents who are receiving cash aid at the time their children are placed in protective custody are eligible to continue to receive CalWORKs employment services and supportive services. 36 Q: Can AB429 Clients be discontinued for non-compliance? 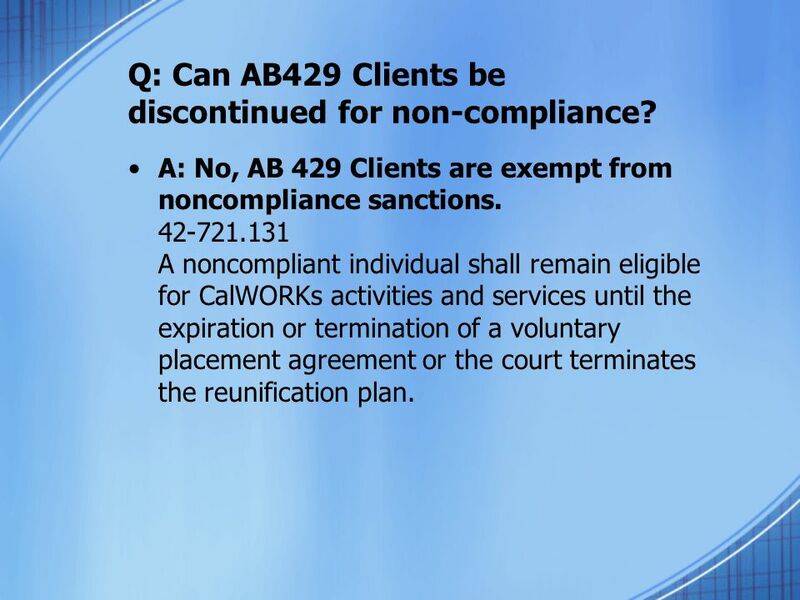 A: No, AB 429 Clients are exempt from noncompliance sanctions A noncompliant individual shall remain eligible for CalWORKs activities and services until the expiration or termination of a voluntary placement agreement or the court terminates the reunification plan. 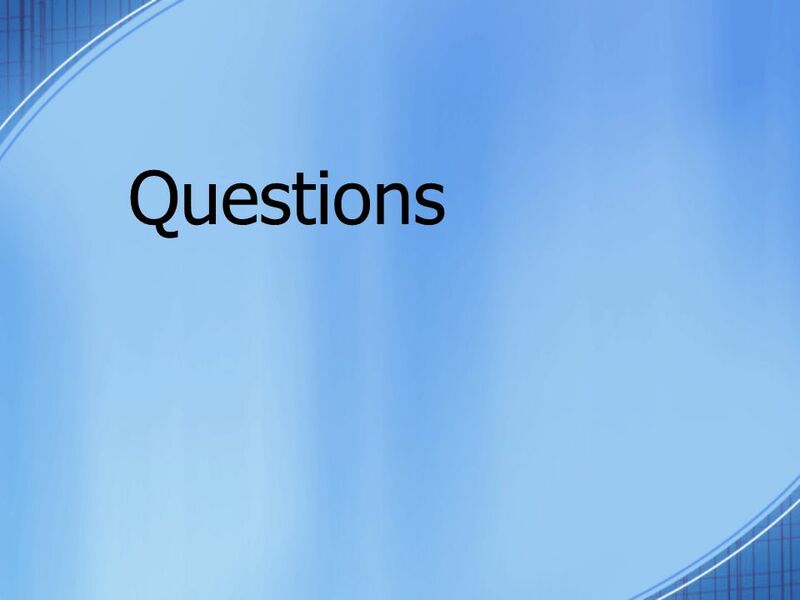 37 Q: Are AB429 Clients required to submit monthly or quarterly reports? 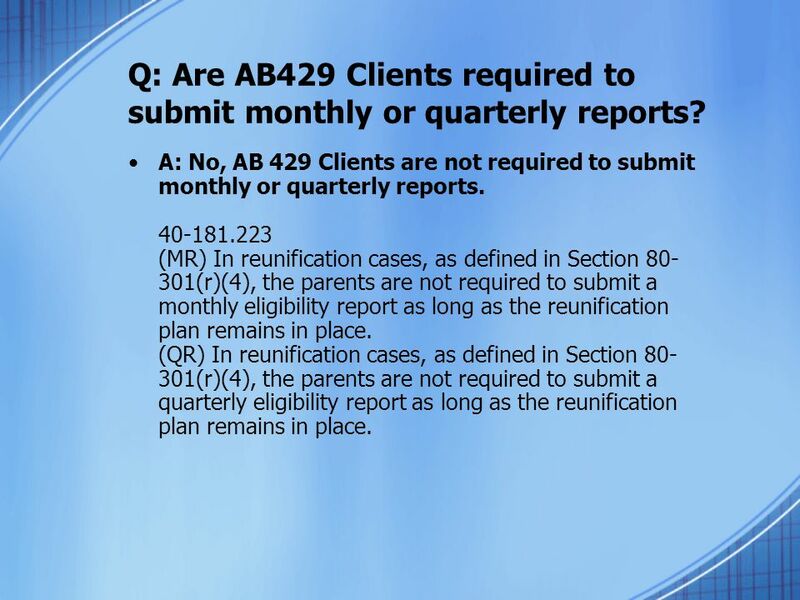 A: No, AB 429 Clients are not required to submit monthly or quarterly reports (MR) In reunification cases, as defined in Section (r)(4), the parents are not required to submit a monthly eligibility report as long as the reunification plan remains in place. (QR) In reunification cases, as defined in Section (r)(4), the parents are not required to submit a quarterly eligibility report as long as the reunification plan remains in place. 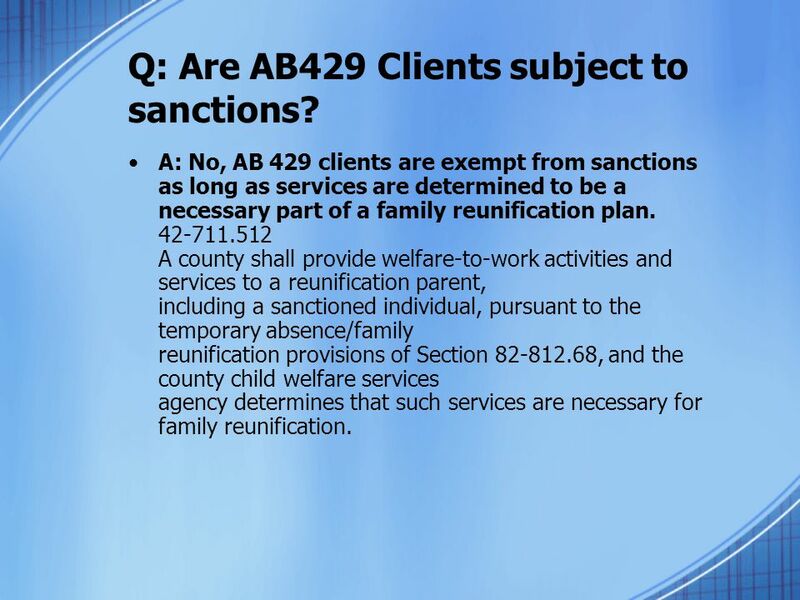 38 Q: Are AB429 Clients subject to sanctions? 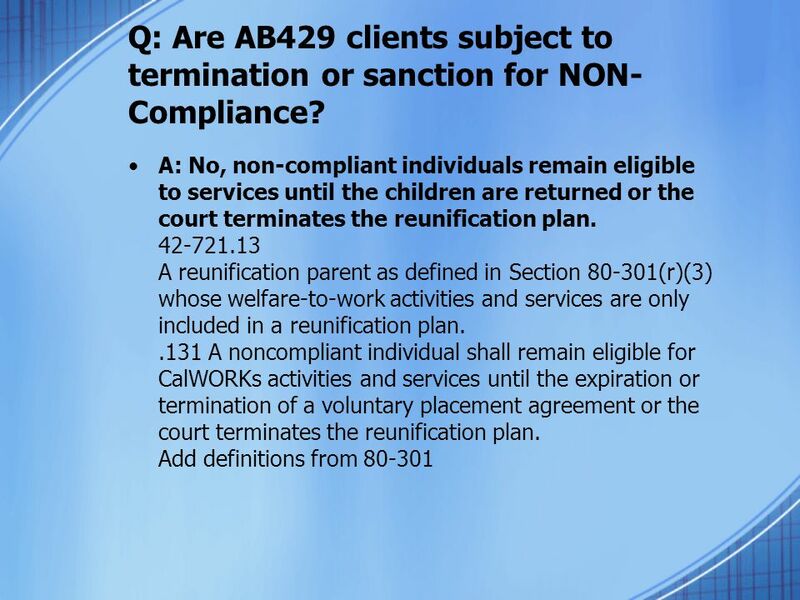 A: No, AB 429 clients are exempt from sanctions as long as services are determined to be a necessary part of a family reunification plan A county shall provide welfare-to-work activities and services to a reunification parent, including a sanctioned individual, pursuant to the temporary absence/family reunification provisions of Section , and the county child welfare services agency determines that such services are necessary for family reunification. 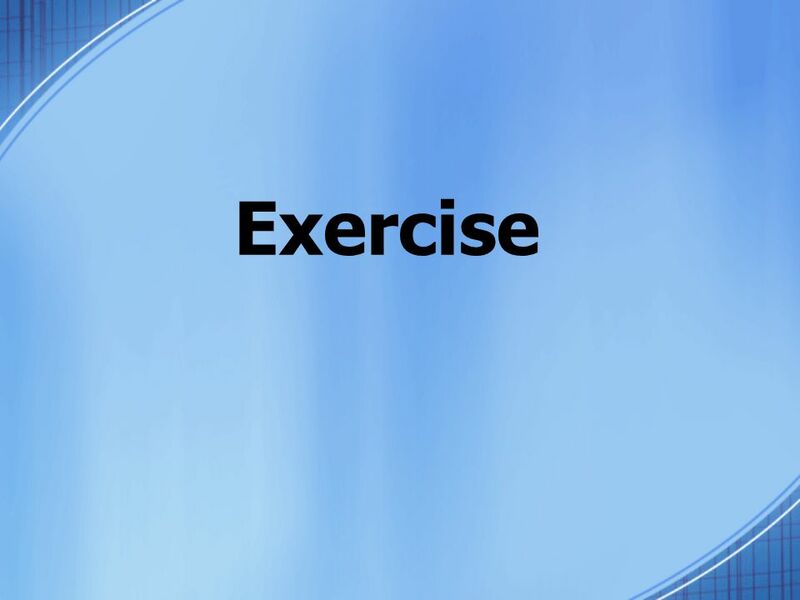 39 Q: Is an assessment required before WTW services can begin? 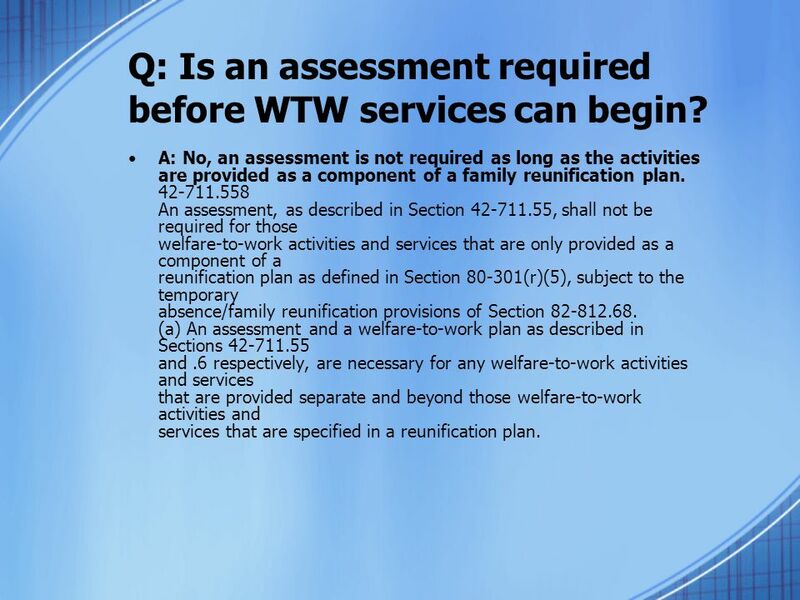 A: No, an assessment is not required as long as the activities are provided as a component of a family reunification plan An assessment, as described in Section , shall not be required for those welfare-to-work activities and services that are only provided as a component of a reunification plan as defined in Section (r)(5), subject to the temporary absence/family reunification provisions of Section (a) An assessment and a welfare-to-work plan as described in Sections and .6 respectively, are necessary for any welfare-to-work activities and services that are provided separate and beyond those welfare-to-work activities and services that are specified in a reunification plan. 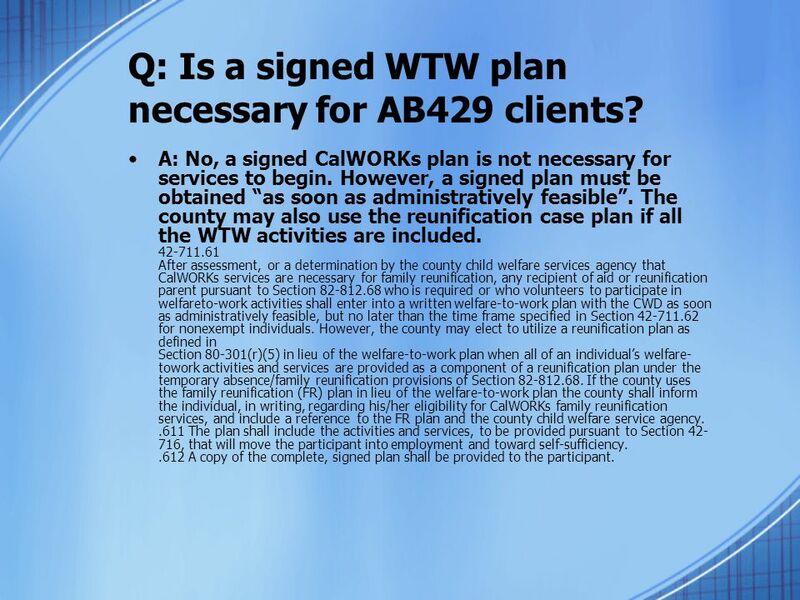 40 Q: Is a signed WTW plan necessary for AB429 clients? A: No, a signed CalWORKs plan is not necessary for services to begin. 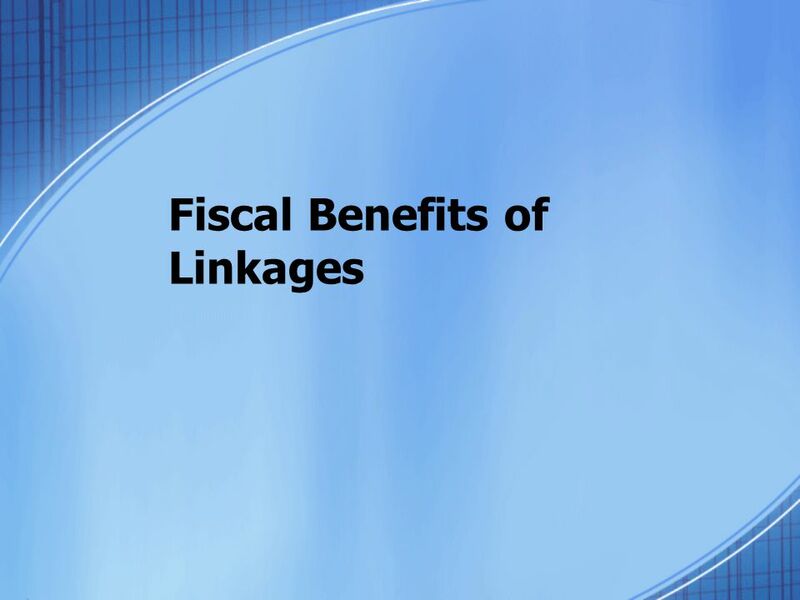 However, a signed plan must be obtained “as soon as administratively feasible”. 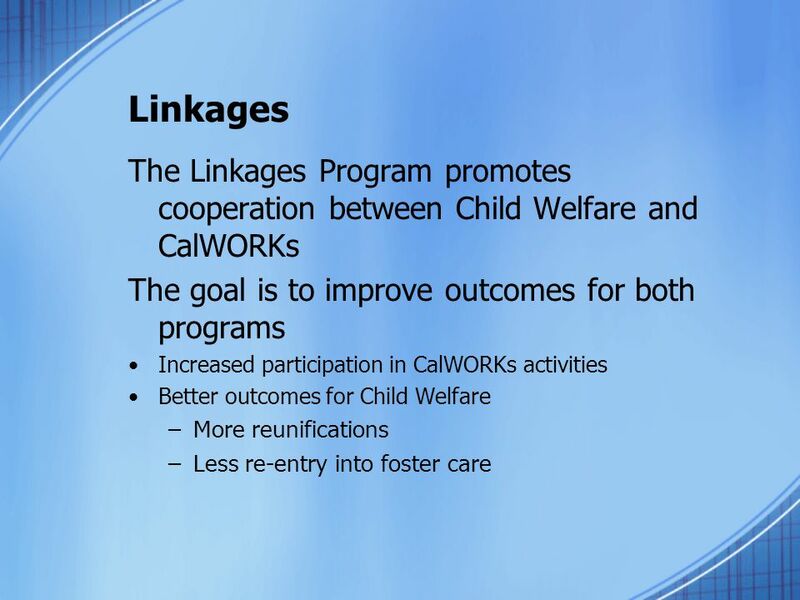 The county may also use the reunification case plan if all the WTW activities are included After assessment, or a determination by the county child welfare services agency that CalWORKs services are necessary for family reunification, any recipient of aid or reunification parent pursuant to Section who is required or who volunteers to participate in welfareto-work activities shall enter into a written welfare-to-work plan with the CWD as soon as administratively feasible, but no later than the time frame specified in Section for nonexempt individuals. 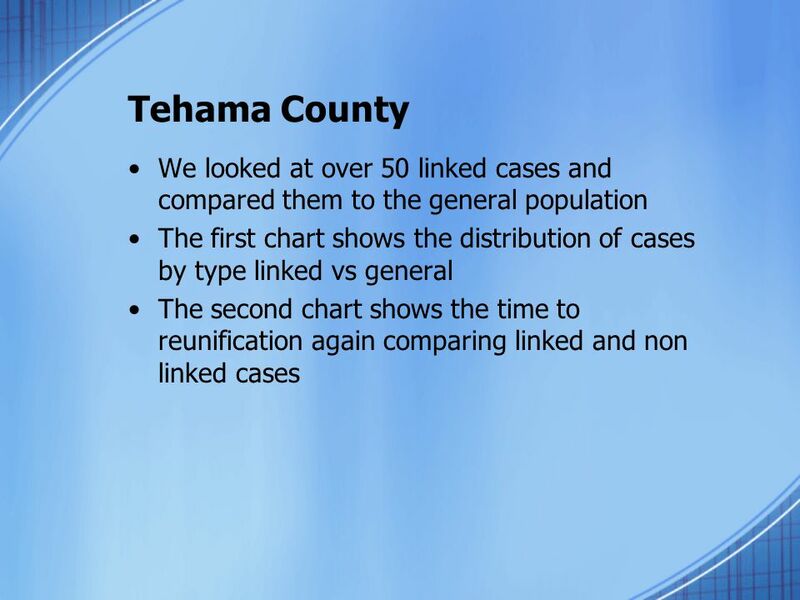 However, the county may elect to utilize a reunification plan as defined in Section (r)(5) in lieu of the welfare-to-work plan when all of an individual’s welfare-towork activities and services are provided as a component of a reunification plan under the temporary absence/family reunification provisions of Section If the county uses the family reunification (FR) plan in lieu of the welfare-to-work plan the county shall inform the individual, in writing, regarding his/her eligibility for CalWORKs family reunification services, and include a reference to the FR plan and the county child welfare service agency The plan shall include the activities and services, to be provided pursuant to Section , that will move the participant into employment and toward self-sufficiency A copy of the complete, signed plan shall be provided to the participant. 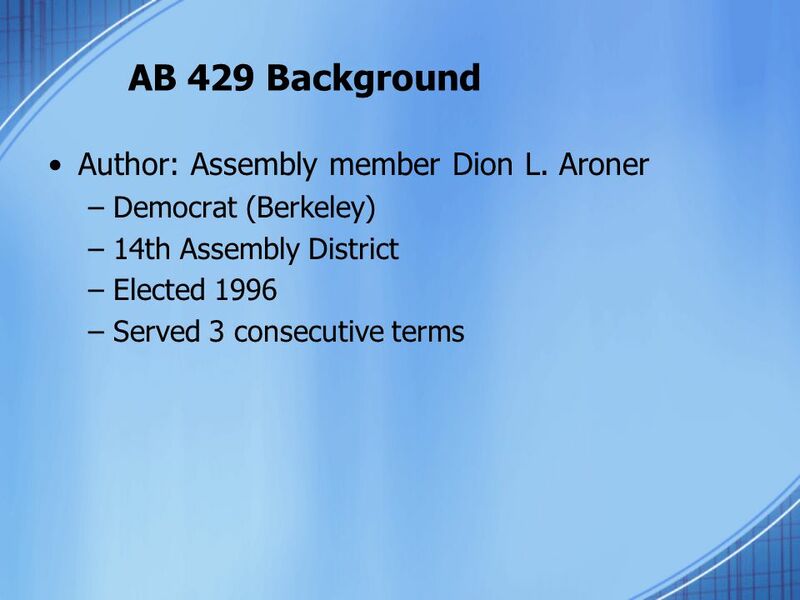 41 Q: Are AB429 clients subject to termination or sanction for NON-Compliance? 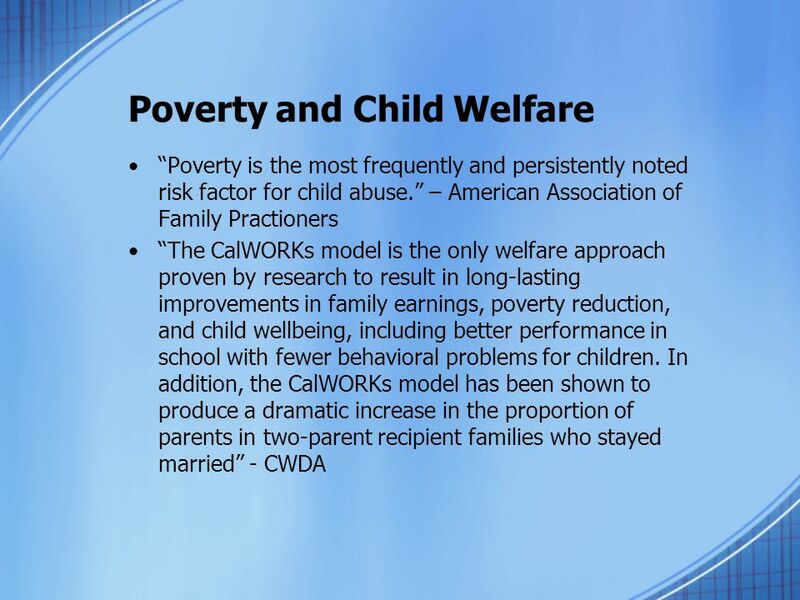 Download ppt "AB 429 CalWORKs and Child Welfare"
To Eliminate Poverty and Family Violence in El Paso County. 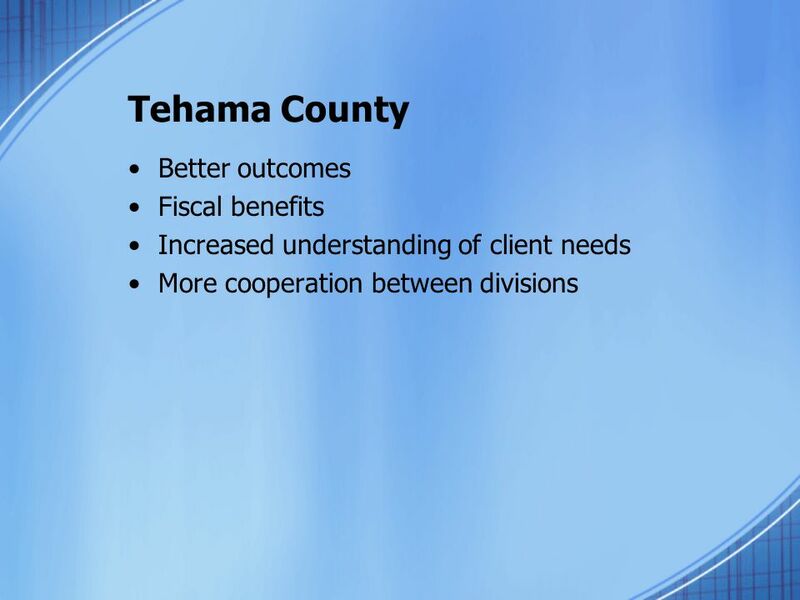 Supervisor’s Core: Fiscal Essentials Version 2.0 July 2009. OVERVIEW OF DDS ACS HCBS MEDICAID WAIVER. Medicaid Regular state plan Medicaid pays for doctor appointments, hospital expenses, medicine, therapy and. Community Based Care in Florida and the IV-E Waiver. Subsidized Guardianship Permanency Initiative. SG Introduction Focuses on improving permanency outcomes for children in out-of-home care through a comprehensive. DOMESTIC VIOLENCE AND HOMELESSNESS Linda Olsen, MA, MSW Presented at the National Conference to End Family Homelessness February 8, 2008. Planning With Youth in Transition Tips, Tools and Techniques. United Way of Northern Arizona 2013 Community Impact Forum. The Gift of Deeming Welfare to Work Objectives After completing this training, you should  Understand the details of the participation rates. 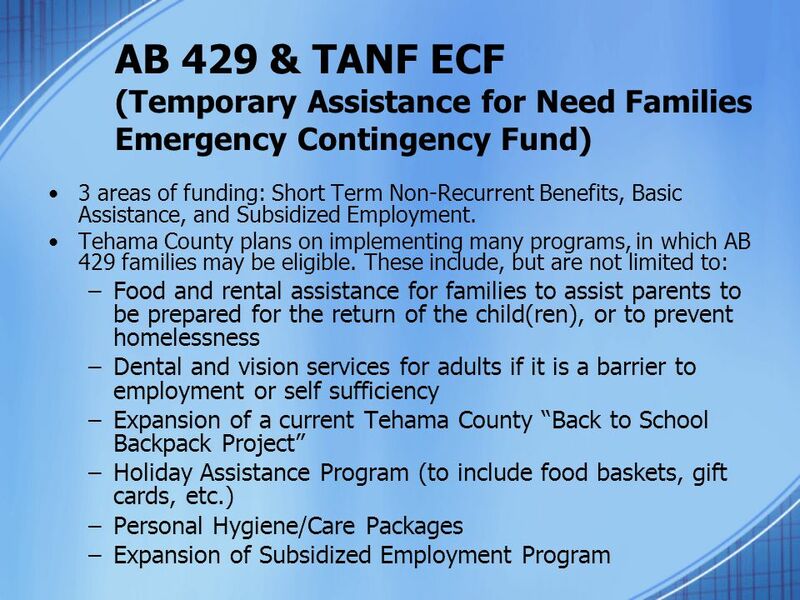 ARRA TANF Emergency Contingency Fund: Non- Recurrent Short Term Benefits Presented by Maria Gardner, Program Support Division Chief Department of Social. WCLP Governor Brown’s Health and Human Services Budget For: EOPS CARE March 9, 2011. Voices of Families at Team Meetings Presentation May 18, 2015 Victor Medrano, CalWorks, FCS Linkages Carol Sentell-Bassett, Child Welfare Supervisor Danielle.